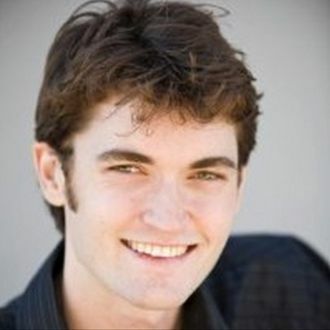 The dramatic Silk Road trial is still ongoing in Manhattan federal court, where 29-year-old tech dude Ross William Ulbricht is charged with several crimes related to running a drug black market on the deep web. If you thought the lead-up to the arraignment was weird, get ready because the trial itself is turning out to be even wackier. Here’s some of the weirdest stuff that’s happened so far. Ulbricht’s attorney, Joshua Dratel, argued that federal investigators had omitted the use of emoji in some of Ulbricht’s chats, which could alter the perceived meaning of those chats, according to the Times. He eventually convinced the judge that anyone reading from chat transcripts should have to note when there is an emoji used. Now there’s a lot of saying “emoticon” aloud. I felt compelled to reveal myself to [my date]. It was terrible. I told her I have secrets. She already knows I work with bitcoin wich [sic] is terrible. I’m so stupid. Everyone knows I am working on a bitcoin exchange. I always thought honesty was the best policy and now I don’t know what to do. I should have just told everyone I am a freelance programmer or something, but I had to tell half-truths. It felt wrong to lie completely so I tried to tell the truth without revealing the bad parts, but now I am in a jam. Everyone knows too much, dammit. Dratel’s key argument seems to be that Ulbricht was set up to be the fall guy for the real Silk Road proprietor, despite the fact that he had little to do with its illegal operations. A DHS agent who helped capture Ulbricht admitted that the department once thought Silk Road was helmed by Mark Karpelès, the CEO of failed Bitcoin exchange Mt. Gox. Cue mystery and intrigue.